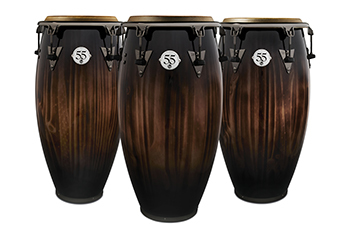 Latin Percussioncommemorates more than half a century as the largest hand percussion brand in the world with the release of Limited Edition 55thAnniversary Quinto,Congaand Tumbaset with matching Bongos. The ultra-lightweight shells are constructed of select New Zealand Pine. The lumber is treated utilizing a process that literally burns it with a torch to bring out and enhance the natural grain of the wood. The shells are then accented with a Candy Black Fade lacquer finish for a durable, one-of-a-kind look. The drums are complimented with LP’s Black Nickel plated hardware and the company’s patented Top TuningComfort Curve II™rims for easy, on-the-fly tuning. Each drum features a tribute 55th badge, ensuring it’s collectability for years to come. “The visual impact and outstanding performance of these Limited-Edition drums will certainly have heads turning” says Derek Zimmerman, Brand Manager for LP. All-NewDrummer-Friendly “Box Kit” Cajon, Solo Cajon and Cajon Mic Mount are Here! Latin Percussionis proud to offer one of the most comprehensive lines of cajons on the market today, with something for every player and every gig. 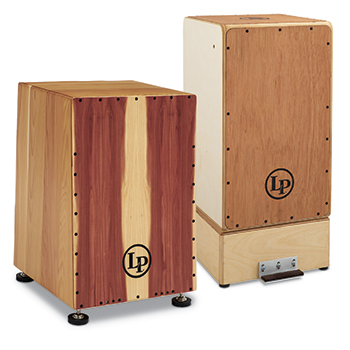 New for 2019 are the LP 3-Zone Box Kit, theLP Solo Cajonand the specially designed LP Cajon Mic Mount. The perfect accessory for live situations is the LP Cajon Mic Mount(LP-CMM). It allows players to attach the mic of their choice to the sound hole of any cajon up 3/4″ thick without inhibiting vibration or resonance. The mount comes with a knurled aluminium mic rod, as well as a US mic adapter that fits most mic clips, offering superior adjustability and mic positioning. (11thJanuary, 2019 – Oxnard, CA)Latin Percussionis delighted to announce the extension of its world class range of tambourines with the launch of fifteen new LP Pro 10” Tambourines and a10″ “Worship” Tambourine. All-newLP Pro 10” Tambourineshave Asian Oak shells and a choice of a single or double row of sonically matched aluminium, bronze or brass jingles that produce a myriad of sounds for most musical applications. 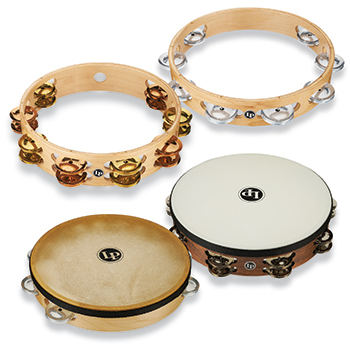 Headed and non-headed tambourines, as well as and sonically matched, alternating Brass and Bronze jingles are also available. All models include a deluxe carrying bag. In addition, LP has launched the10” “Worship” Tambourine (LP316) to meet the needs of gospel choirs and other religious settings. 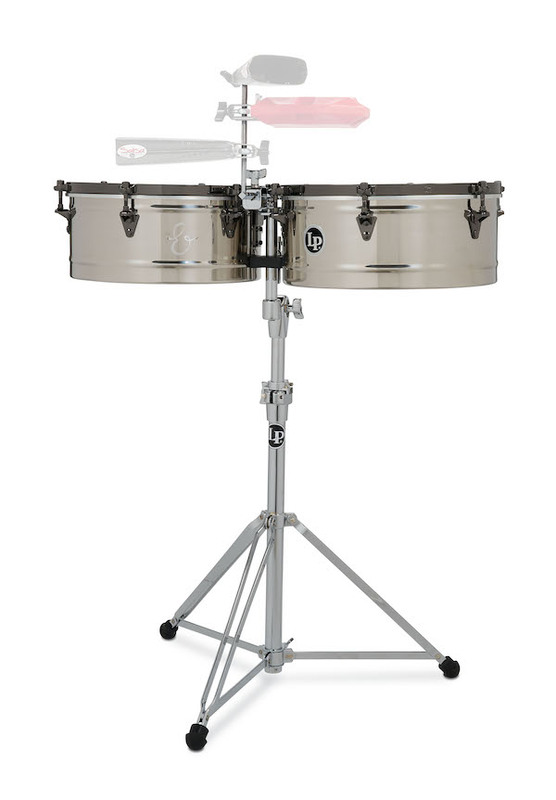 The instrument features a lightweight all-wood shell and sixteen pairs of steel jingles for an open, bright sound. 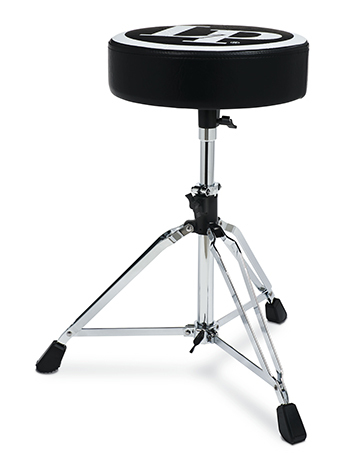 It comes with LP’s Perfect Pitch™ synthetic head which is climate friendly and easy to tune. A reinforced grip provides maximum comfort for hours of play. 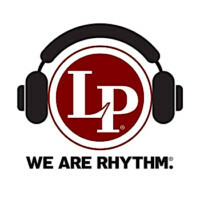 LP Pro Tambourine prices range from $153.99 for single row to $230.99 for a double row, headed tambourine. “LP Tambourines are considered the best of the best and we couldn’t be more proud to add new sonic possibilities for percussionist with this new collection. There truly is something for any musical situation” says Derek Zimmerman, Brand Manager for LP. Latin Percussionis pleased to announce the launch of a range of accessories designed specifically for percussionists with the aim of making playing, locally and on the road, that much easier. 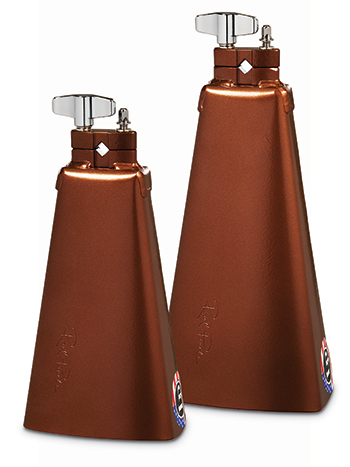 Latin Percussionis excited to introduce two new LP Raul Pineda Signature Cowbells. Grammy award-winning drummer, Raul Pineda, is one of the most innovative and influential Latin drummers today. His unique ability to blend Afro-Cuban and contemporary influences, has gained him notoriety among elite Latin players and fans alike. “Raul came to us looking for a specific sound and aesthetic that would work for a multitude of musical applications. He also wanted something that was specifically designed to be played with a pedal. After working with him and our USA cowbell factory we are extremely happy that we have been able to realize his vision”, says Derek Zimmerman, LP Brand Manager. The all-new LP Raul Pineda Signature 7” “Songo” Cowbell(LP574-RP) and 8 ½” Footbell (LP576-RP) are made in the USA using a one-piece steel construction. They are finished in a stunning Antique Bronze coating and feature a patented vice-clamp mount that fits rods from 9.mm to 12.5mm. An included memory lock ensures exact placement every time. Latin Percussionis excited to present the all-new E-Class Signature Series; a collection of instruments that represent the unique sound and style of the Escovedo’s, the first family of Latin Jazz. The collection is comprised of LP E-CLASS Timbales,LP E-CLASS Bongo Set, and the LP E-CLASS Quinto, Conga and Tumba. Emblazoned with a signature E logo, the line pays tribute to the Escovedo’s patriarch and legendary percussionist Pete Escovedo, his daughter Sheila E, and sons, Peter Michael and Juan. Each has enjoyed notable careers, playing with a long list of the music world’s most notable luminaries, as well as enjoying chart topping hits and successful solo careers. 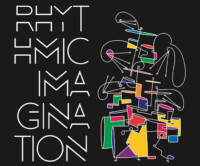 When they come together to play it’s a rhythmic family experience that’s undeniably electric. 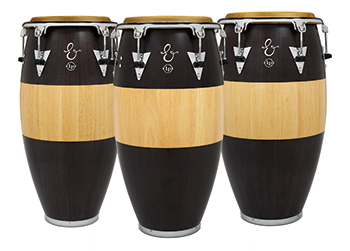 LP E-Class Congas includeQuinto(LP522T-EC), Conga(LP559T-EC) and Tumba(LP552T-EC) sizes and have 3-ply 30” tall Siam Oak shells with a striped natural/walnut stain finish. Included are handpicked rawhide heads, Top-Tuning Comfort Curve II rims heavy-duty 5/16″ tension rods and LP’s patented ProCare™ Shell Protectors. 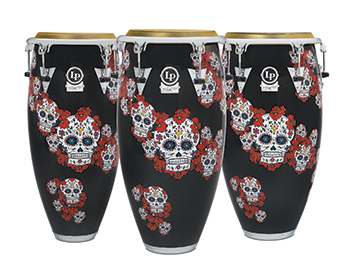 (11thJanuary, 2019 – Oxnard, CA) Latin Percussionhas announced the introduction of new Karl Perazzo Signature Congasand matching Bongosfeaturing Dia de los Muertos skull artwork designed by Perazzo to match his most recent live set-up with Santana. 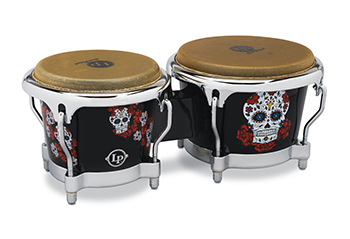 The graphic that adorns the badge of the San Francisco native’s existing signature timbales (LP1415-KP), and now his matching congas and bongos, is said to pay tribute to past generations of loved ones as part of the Mexican holiday, Dia de los Muertos or Day of the Dead. TheLP Karl Perazzo Signature Quinto(LP808T-KP), Conga(LP809T-KP) and Tumba(LP810T-KP) shells are manufactured from 30″ Kevlar reinforced seamless fiberglass. They are finished with durable lacquer and complimented with chrome hardware. Topped with handpicked rawhide heads, the drums feature heavy-duty 5/16″ tension rods and patented LP Top-Tuning Comfort Curve II™ rims with ProCare™ Shell Protectors. The signature collection also offers matching LP Karl Perazzo Signature Bongos(LP794X-KP). 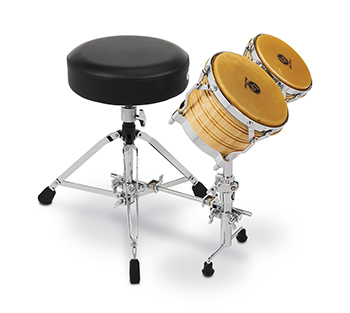 The set includes 7-1/4″ and 8-5/8” bongos as well as an 11” Signature Mini Conga (LPM198-KP) complete with Chrome plated hardware and a fully tuneable head.